Biker & Bike’s April Motorcycle Events Calendar lists all of the premier motorcycle events in the UK (and quite a few smaller and local ones). With a late Easter this year the biking season is well and truly in full swing this April. Bikers events are happening all over the country and if you’re a classic enthusiast you’ve got a busy month ahead. What’s more, BSB is back! A trove of motorcycle treasure, from parts to tools, clothing and bikes for sale. At least 250 indoor and outdoor stalls feature parts and services from specialists, so you can get a petrol tank hand painted, a digital speedo for your new wave retro build or the latest cleaning materials. Club displays normally take place the large indoor hall. Over 40 races and parades over the weekend, which is the first weekend of the Classic Racing Motorcycle Club’s 2019 calendar. Saturday practice starts at 8.40 am, with the first racing at 12.45 pm. Sunday racing starts at 9 am. If you want to race or parade your bike at the event see the CRMC website. Prices: Adults: Saturday £15, Sunday £20, Weekend £30. Not much to go on at the time of writing but expect Vintage and Classic displays, autojumble and trade stalls. This event is held alongside the Malvern Festival of Transport. 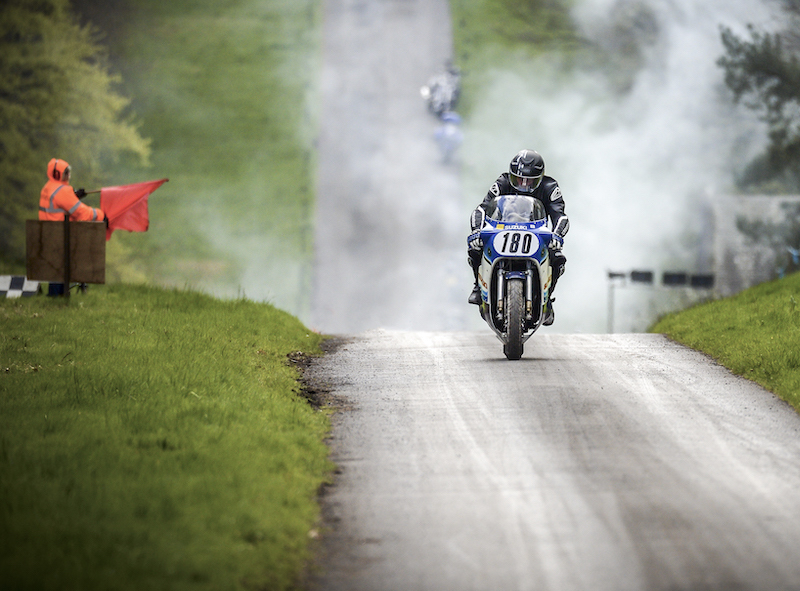 Join us at the 43rd annual Motorcycle Sprint at Hoghton Tower (organised by Marshals North West) – one of the classic and longest standing motorcycle events in Lancashire. Experience the excitement as bikes of all classes take on the challenge of the spectacular driveway at Hoghton Tower against the clock. There will be food and more around the track so bring the whole family for a great day out. Admission raises funds for the Hoghton Tower Preservation Trust. Road racing and TT legend John McGuinness takes to the road with a series of live events with buddy James Whitham, who’ll be asking John about the highs and lows of his near 30-year career in motorcycle racing. The audience also gets to ask questions and for an extra £5 on your ticket price you can get a picture with the great man. Expect plenty of banter. Read the small print in the event’s website page to save yourself the booking fee. There are two more dates in April – see other months for the rest of the tour dates. This is a road rally organised by Somerset Advanced Motorcyclists (SAM) which involves plotting a route throughout the South West Peninsula. It will require some navigational skills, mental dexterity and observational ability, but above all, it is designed to be an enjoyable event for all Riders on two or three wheels. The object is to complete various stages, collecting answers to clues on your travels. These answers and points decide the awards achieved. Credit: Facebook/Normous Newark Autojumble | The ‘Normous has something for every biker, not just classic parts. The ‘Normous is a near-monthly autojumble at this famous venue. It’s not just bikes – cars and commercials also feature – but classic cars and bikes are the main draw and there are displays of each as well as private and trade stalls. Get there early if you want to grab a real bargain. Start point: Squires Bike Cafe, Newthorpe Lane, Sherburn in Elmet, West Yorkshire LS25 5LX. Destination Malton, North Yorkshire. Starting from the legendary Squires Cafe, this annual Easter run supports a number of worthy projects and is hoping to reach magic 1,000 bikes number this year. It’s a 125cc-friendly event and is fully marshalled, with fancy-dress more than welcome, as are donations of Easter eggs. Three of the best storytellers in motorcycle racing get together to preview this year’s TT and tell tall tales from previous years. McGuinness has won the TT 23 times and Hickman twice and both will no doubt remind host Whitham he never has. He can then show them picture of the two British Superbike Championship trophies he has in his cabinet. A great night in store for motorcycle racing fans. See the main listing on 9th April for full details. The opening round of the 2019 Bennetts BSB Championship. 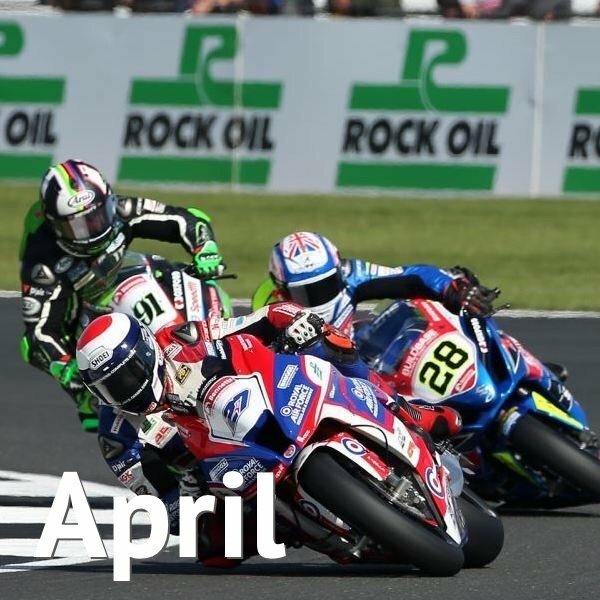 Each event also features a busy timetable of regular support races, including the Dickies British Supersport Championship, Hel British Motostar Championship, Pirelli National Superstock 1000 and Pirelli National Superstock 600. The Egg Run, held each Easter Sunday by Moorlanders and Widows Sons South West Chapter. This popular event raises money for local children’s charities, taking bikers on a fully marshalled tour of North Cornwall. The Egg Run attracts around 500 bikers and has raised more than £40,000 over its 20-year history. Entry is £5 per bike, chocolate egg donations welcomed. Event key rings will be given out to first 250 bikes entering. A classic trial on the Sunday with a four-at-a-time hill climb on the Monday. This historic race was resurrected in 2000 after its demise in the ’70’s and it has since gone from strength-to-strength and is a classic on the racing calendar. It’s fast and furious and a little bit nuts. After being off the motorcycling calendar for two years the Southend Shakedown is back on again in 2019. Local businesses, residents and Southend Council have all recognised the important role Shakedown plays in bringing visitors and revenue to the town. The action takes place on the seafront where there will be trade stands, live music and thousands of bikes on display. 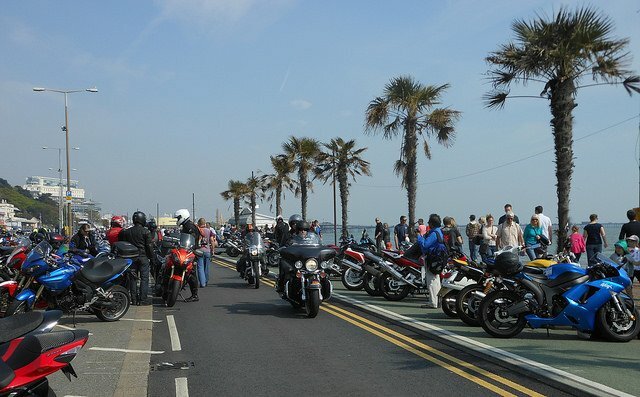 The organisers have issued the following advice on parking – bearing in mind the event can attract up to 10,000 bikes – “The Southend Shakedown Resurrection Committee who are running this event, have allocated 2000 FREE bike parking spots along Marine Parade and Western Esplanade. If you would like to display your bike in the main event area, then you will need to pick up an ‘event disc’ in advance and a full list of the locations will be available very soon. If there are more than 15 of you in a group, travelling together and you live outside of Southend then do contact the team ar [email protected] and they can arrange for the discs to be sent to you. There will a number of discs available to pick up on the day, but this will be a first come first served basis. A true must-visit event for anyone interested in classic motorcycles, with around 120 bikes competing for prizes (trophies awarded at 2.30pm). Expect to see lots of the usual Triumphs, BSAs and Ariels but also rarer Levis, Francis-Barnet and Greeves machines. Lots of trade and autojumble stands plus special exhibitions and a talk from a special guest (TBC). Prices: Adults £6, Kids under 16 free. Free admission if you are exhibiting a classic motorcycle. A flagship event of the classic motorcycling calendar, the Carole Nash International Classic MotorCycle Show is well into its fourth decade and is still going strong. 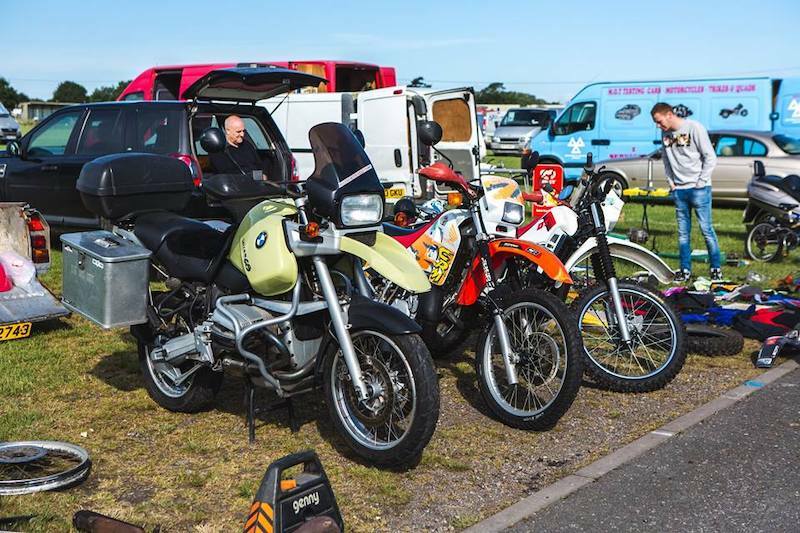 Welcoming the very best that classic British motorcycling has to offer, Staffordshire County Showground plays host to this traditional spring spectacular with row-upon-row of stunning display machines providing plenty for showgoers to explore. Ride Out start: Meole Brace Park and Ride in Shrewsbury, SY3 9NB. Midlands Air Ambulance Charity’s Bike4Life Ride Out and Festival is one of the biggest biker events in the country, attracting over 12,000 bikers. Join superbike legend Carl Fogarty MBE in the Ride Out. 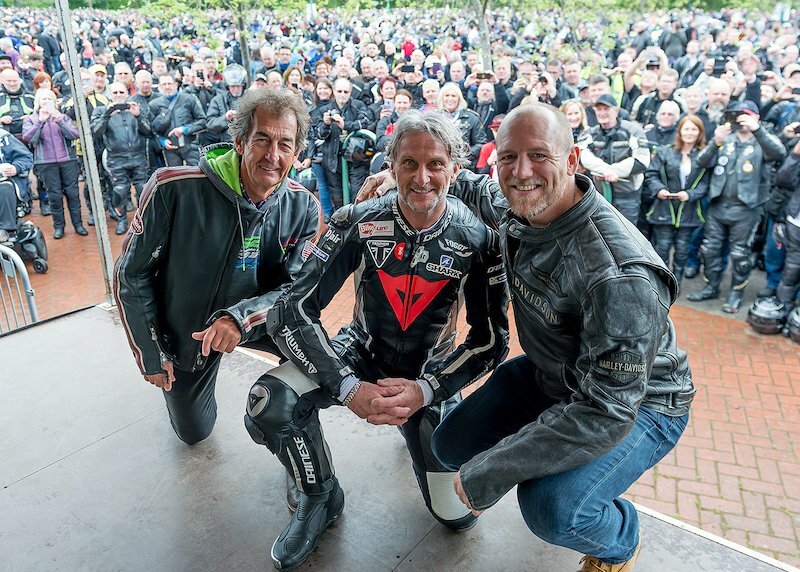 Last year 6,000 riders and pillions took part in the Bike4Life Ride Out, which was led by motorcycle and truck racing legend, Steve Parrish, and racing legend Carl Fogarty. The Women in Motorcycling Exhibition brings together females who are experienced riders, learners and those looking to start but aren’t sure where to begin. 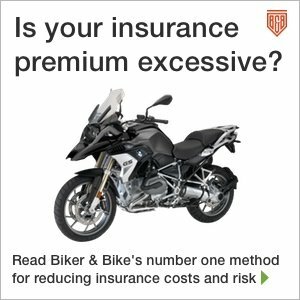 Commuters, pleasure riders, racers, tourers; no matter what you ride now or want to ride in future, we’re here to bring the best of motorcycling into one place for you! We provide an environment where bikes, clothing, accessories, tours, inspirational speakers, masterclasses, biker buddy meet-ups and more merge to create an exciting experience, focused on women’s needs.